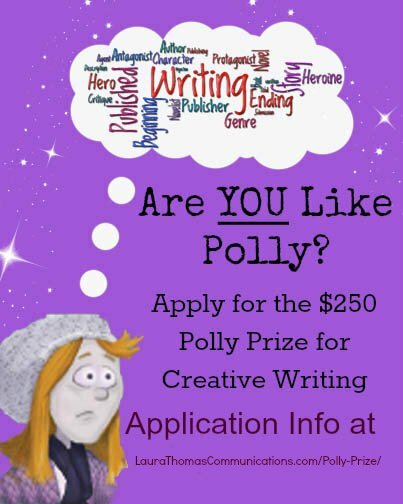 Polly Wants to Be a Writer: The Junior Authors Guide to Writing and Getting Published by Laura Michelle Thomas is, above all, an inspiring read. Filled to the brim with delightful characters, an engaging storyline, and a wealth of priceless information for young writers interested in breaking into print, it is like nothing else I have ever read. Part instruction manual, part rip-roaring fantasy adventure, the book probes the minds of aspiring authors all over the world and details their crises of confidence and tiny triumphs with a lot of patience, empathy, and tenderness. However, it is one thing to know that you are not alone but quite another to find out that there is someone out there willing to help you. I would not recommend approaching this book as the next Harry Potter or Lord of the Rings, but it doesn’t pretend to be, either. The magic is intended as a hook to pull readers in, not as a standalone work. The book has been written in such a way as to teach without the readers knowing that they are learning. Ms. Thomas’s greatest accomplishment is that the lessons are seamlessly interwoven with Polly’s extraordinary story. It is a book I would recommend owning as there is a significant amount to be gained through re-reads. I know I read it multiple times before writing this! Some information isn’t apparent the first time around. I waited in vain for a local library to purchase a copy. Eventually, I was lucky enough to win one of Ms. Thomas’s Weekly Challenges and now find myself a proud owner of an e-book version of the book. On that note, I would recommend going through her website, referenced many times throughout the book, and making use of the many opportunities available to young writers, including publication on the official blog, weekly challenges, and yearly short story and poetry competitions which attracted over a thousand writers all over the world last year. Her services are mostly free. Purchasing the book is not necessary in order to participate, but it definitely gives you an edge in terms of writing advice and prompts, as well as a good idea of what the judges look for in submitted pieces.